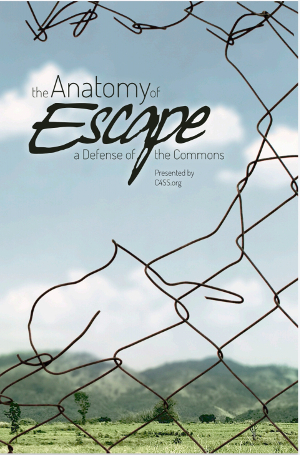 This piece is the twenty-sixth essay in the June C4SS Mutual Exchange Symposium: “Anarchy and Democracy.” It is written in reply to contributions by Nathan Goodman, contributions by Kevin Carson, and Wayne Price. Several contributors to the exchange have made a point of talking about the dangers of overreacting to the language of “democracy” or leaning too heavily on etymology. Those are obviously useful cautions. Most of us are familiar with the quibbles by which authoritarians of various sorts attempt to use etymology against anarchism and expand the envelope of “anarchy” to include their pet archisms. Precisely because those rhetorical maneuvers are so familiar, it doesn’t seem unreasonable to expect a bit of precision and theoretical substance from the advocates of “anarchist democracy.” And those of us who see “democracy,” as we understand it, across a very important divide from anarchy, may perhaps be forgiven for a certain degree of caution and skepticism. Clarity in the exchange requires dealing with both matters of principle and matters of rhetoric. If “democracy” and “anarchy” are to represent compatible projects, then it has to be clear how that works—and then it seems necessary to explain why retaining the language of “democracy” to describe anarchic relations is useful. I think that the exchange has demonstrated that it is not particularly easy to do both. With his references to David Graeber’s work, I think that Carson provides various pieces of an inclusive narrative according to which “democracy” stands for something that is “as old as history, as human intelligence itself”—and perhaps that something is even somewhat anarchistic in its character. I understand the impulse behind Graeber’s defense of a “democracy” that is not narrowly defined by a Western philosophical canon. But, honestly, Graeber’s rhetoric is not reassuring. When he claims that that “democratic assemblies can be attested in all times and places,” or that “all social systems, even economic systems like capitalism, have always been built on top of a bedrock of actually-existing communism,” I can’t help but think that the keywords have been stretched close to the point of meaninglessness. And it’s not because I think any particular political tradition has a monopoly on useful political concepts and principles. It is rather because my experience is that there are very few well-defined concepts or well-wrought principles that are unchanging over time (let alone stable through translation) and clear without substantial contextualization and unitary in application. The socialism of 1834 and the socialism of 1848, to take one example, were worlds apart. The mutualism of 1865 and the mutualism of 1881 were perhaps just as distinct. But la démocratie in France in 1848 and la Démocratie in the same time and place were also distinct, the various organizations and institutions that invoked the name of one or both were diverse in their values, and the norms of a new chapter of political discourse were being worked out on the fly, often in very close connection with the rapidly changing fortunes of the Second Republic. I don’t know many political terms that have not represented substantially different practices over relatively short periods of time, and it seems to me that the twists and turns of Graeber’s argument testify to the difficulties of claiming “democracy” for this perennial (and possibly anarchistic) something. In both of these cases however, while I disagree with the rhetorical framing, I am at least sympathetic to the stated goals. I expect that the societies envisioned are, in both cases, rather distant from my own ideal, but both involve healthy progress in a decidedly libertarian direction. If “democracy” is the best we can do—and even the sorts of democracy proposed here seem pretty far removed at the moment—then these are proposals that seem to glean what is best from democratic tradition (broadly defined). It seems to me that Price has made his own position clear. He envisions a democracy in which minorities will, in fact, be subject to the decisions of majorities. The silver lining he offers is that the minorities will not be static, so we will not see the same sort of oppression we see in more conventionally hierarchical societies. He seems to see this relationship as just and legitimate, although it is not clear whether he believes there is a political duty to assent to some “will of the people” or whether he believes that there is some more utilitarian justification. What seems clear enough, however, is that this majority rule is not a failure in his mind. Given that apparent fact, it does not seem out of line to attribute to Price some sort of (still not precisely clarified) democratic principle—and one that occupies a place on the political map awfully close to the one I assigned it in my own account. It’s hard to know what to make of the rest of Price’s response. He spends a third of it speculating about “whether Shawn is saying that this means that I am not a real anarchist,” lumping himself together with a group of people for whom “radical democracy” does not seem to have a uniform meaning, but not actually responding to my characterization of his position. But let’s not leave things there. Let’s acknowledge that the points of agreement and disagreement among the contributors here are complicated. 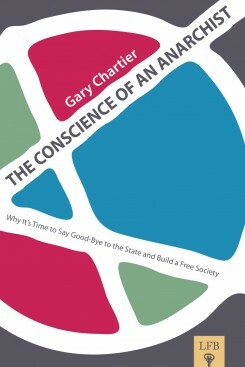 For example, the “democratic practices” that Price seems to approve, and I anticipate with some dread, do not seem to be the characteristic practices of Graeber’s perennial and ubiquitous “democracy,” and it might not be too great a stretch to associate them, in that context, with “failure” in the sense that I have done in my contributions. 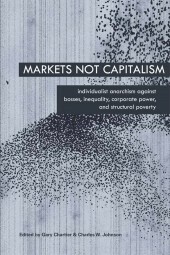 As the market advocates among us are almost certainly aware, it is a common trope among Graeber-inspired anarchists that people only turn to counting and calculation as a means of organizing themselves when society (characterized in this view by a basis in communism and informal democracy) begins to break down. 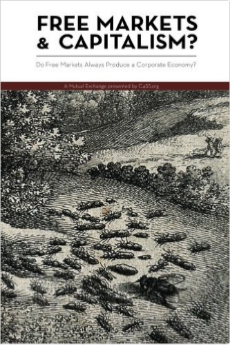 And that reading seems generally faithful to Graeber’s variety of social anarchism, at the core of which is a faith that people can work things out without recourse to mechanisms like market valuation or vote-taking. When we shift our focus away from the questions of vocabulary and rhetoric, our divisions look different. In order to wrap up my contributions to this exchange, I would like to redraw the lines between us in a way that accepts—within clearly defined limits—Wayne Price’s contention that we are in agreement about the practical side of things. Having proposed this new divide, I then want to undertake a limited defense of democratic practices, including voting, in a way that draws on Proudhon’s later works and, in a sense, completes the argument against the democratic principle. This move is not just consistent with the Proudhonian analysis I’ve been making, but is probably required by any very serious application. We have finally understood that the opposition of two absolutes [property, the governmental State]—one of which, alone, would be unpardonably reprehensible and both of which, together, would be rejected, if they worked separately—is the very cornerstone of social economy and public right: but it falls to us to govern it and to make it act according to the laws of logic. The “New Theory” of property depends on the recognition “that the reasons [motifs, motives, impetus, justification] for property, and thus its legitimacy, must be sought, not in its principle or its origin, but in its aims.” On the basis of principle, property remains “theft,” absolutist and “unpardonably reprehensible.” But as early as 1842, in the Arguments Presented to the Public Prosecutor Regarding the Right of Property, Proudhon had been exploring the possibility that the equalization of property and the limitation of its scope might allow its effects to be generally neutralized. As he embraced the notion of antimony, and it became clear that this sort of counterbalancing was perhaps the most promising means of at least neutralizing authority, the doors were thrown wide open for the consideration of what other institutions might serve as social counterweights. And it should be no surprise that universal suffrage, constitutionalism and other existing democratic practices were subject to similar attempts at recuperation in Proudhon’s final works. But in what sense could such a theory be anarchic or anarchistic? Obviously, this is not the simple anarchy, identified as a perpetual desideratum in The Principle of Federation, but if the effect is indeed to balance and thus neutralize the authoritarian or absolutist elements in various institutions—all of them still considered suspect in principle—then perhaps we have anarchy as a resultant. It may not be immediately obvious how a “governed” opposition becomes the “very cornerstone of social economy and public right,” but it should be very easy for us to identify anarchy with the combined effects of various opposing forces or tendencies. The principle of anarchy is not compromised by the fact that anarchy is inseparable from conflict. Like the principle of authority, it is a response to that fact. If any of this seems unfamiliar or outlandish, consider that what Proudhon proposed for “property” was not significantly different from Bakunin’s treatment of “authority” in “God and the State.” In the context of his quite thorough rejection of the principle of authority, the way to avoiding “spurning every [individual] authority” is to treat expertise as a matter of difference between individuals and not of social hierarchy, and then to neutralize the potentially authoritarian effects of that difference by balancing expertise against expertise. It would be easy, at this point, to expand the analysis of Proudhon’s final works and trace his own work towards the recuperation of at least certain democratic practices, which we should probably understand as complementary to the recuperation of property. But that would be a long and convoluted tale. Instead, I would simply like to pick out one aspect of Proudhon’s theory—his frequent use of the English term self-government among the synonyms for anarchy—and propose the bare outline how anarchic self-government might function in practice. The importance of specific decision-making mechanisms or organizational structures to the organization of a free society is almost certainly overestimated. If we are considering building a road, then there are all sorts of technical questions to be answered. We need to know about potential users, routes, construction methods, ecological impacts, etc.—and the answers to all of these questions will significantly narrow the range of possible proposals. We need to make sure that the plans which seem to serve specific local needs can be met with local resources, which will further narrow the possibilities. And in a non-governmental society, there can be no right to coerce individuals in the name of “the People,” nor can there be any obligation for individuals to give way to the will of the majority—and this absence of democratic rights and duties must, I think, be recognized, if the society is to be considered even vaguely anarchistic—so new limitations are likely to appear when individuals feel that their interests are not represented by proposals. The simplest sort of self-government, where individuals simply pursue a combination of their own interests—including, of course, their interests as members of various social collectivities—and the knowledge necessary to serve them, will either lead to proposals that are acceptable to all the interested parties or they will encounter some obstacle that this sort of simple self-government appears unable to overcome. This second case is presumably the point at which a vote and the imposition of the will of the majority might seem useful. But what is obvious is that such a resolution does not solve the problem facing this particular polity. This sort of democracy is what happens when the simplest sort of self-government—which is probably not worth calling government at all—breaks down, and it involves relations that seem difficult to reconcile with the notion of self-government. But perhaps this very simple self-government revolves around the wrong sort of self. The “self” in anarchic self-government is neither simply the human individual, nor “the People,” understood abstractly, but some real social collectivity. The vast majority of Proudhon’s sociological writings actually relate to the analysis of how unity-collectivities, organized social groups with a unified character, emerge and dissolve in society, but what is key for us to note here is that we are not talking about abstract notions like “the People.” Instead, if we are talking about a sort of social self-government, it would seem that the avoidance of exploitation and oppression is going to depend on carefully identifying real collectivities to which various interested parties belong. While “the People” may find their mutual dependence a rather abstract matter, the more precisely we can identify and clarify the workings of specific collectivities, the less chance there should be that purely individual interests undercut negotiations among the members of those collectivities. One of the important elements of Proudhon’s sociology is his recognition that collectivities may have different interests than the strictly individual interests of the persons of which they are composed. That means that individuals may find themselves forced to recognize their own interests as complex and perhaps in conflicts, depending on the scale and focus of analysis. This may mean, for example, that there will be hard choices between the direct satisfaction of individual desires and various indirect, social satisfactions. But it should also mean that the more strictly individual sorts of satisfaction cannot be neglected when members are thinking about the health and success of the group. To the extent that real collectivities can be identified, and decisions regarding them limited to the members of those collectivities, negotiations can be structured quite explicitly around the likely trade-offs. To the extent that the health and success of the collectivity depends on lively forms of conflict among the members (and Proudhon made complexity and intensity of internal relations one of the markers of the health—and the freedom—of these entities), then the more conscious all members must be of the need to maintain balance without resorting to some winner-take-all scenario. It will, of course, not always be possible to resolve conflict by bringing together a single collectivity. There will be issues that can be resolved through additional fact-finding or compromises within the group, but there will be others that call for the identification of other groups of interested parties, whether in parallel with the existing groups, addressing different sorts of shared interests, at a smaller scale, addressing interests that can be addressed separately from the present context, or on a larger scale, addressing issues shared by the given group and other groups as well. We can already see how this analysis leads to federalism as an organizing principle, but perhaps it is not quite clear how and why these various groups might be constituted. The “nucleus” of every unity-collectivity is likely to be a conflict, problem or convergence of interests. One of the consequences of breaking with the governmental principle ought to be the abandonment of the worldview that sees society always present as “the People,” a fundamentally governmental collectivity always present to intervene in the affairs of individual persons. While there might be a few institutions of self-government that enjoy a perpetual existence, anarchists should almost certainly break with the notion that that each individual is obliged to stand as a citizen of some general polity whenever called to account for themselves. Instead, the principle of voluntary association and careful attention to real relations of interdependence ought to be our guides. And the rich sort of self-interest we’ve been exploring here ought to serve us well in that regard. To abandon the assumptions of governmentalism and take on the task of self-government is going to be extremely demanding in some cases, so we might expect that individuals will desire to keep their relations simple where they can, coming together to form explicit associations only when circumstances demand it—and then dissolving those association when circumstances allow. Where existing relations seem inadequate to meet our needs and desires, then some new form of association is always an option—and with practice hopefully we will learn to take on the complex responsibilities involved. Where existing relations seem to bind us in ways that stand in the way of our needs and desires, we’ll learn to distinguish between those existing associations which simply do not serve and those of a more fundamental, inescapable sort—and hopefully we will grow into those large-scale responsibilities from which we cannot extricate ourselves. Conventions for the use of property, the distribution of revenue and products, the mechanics of exchange, etc. can probably be approached in much the same way we would approach the formation of a new workgroup, the extension of a roadway, the establishment of sustainable waste or stormwater disposal, etc. Organization, according to the federative principle, is a process by which we identify—or extricate—specific social “selves,” on the one hand, or establish their involvement in larger-scale collectivities, on the other, and establish the narrow confines within which various “democratic” practices might come into play. 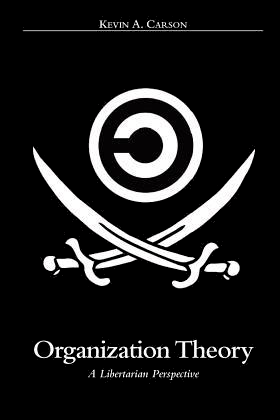 If we are organized in anarchistic federations, then we can expect that organization to be not just bottom-up, but very specifically up from the problems, up from the local needs and desires, up from the material constraints, with the larger-scale collectivities only emerging on the basis of converging interests. Beyond the comparatively temporary nature of the federated collectivities, we should probably specify that we are talking about a largely consultative federalism, within which individuals strive to avoid circumstances in which decision among options is likely to become a clear loss for any of the interested parties. If we are forced by circumstances to resort to mechanisms like a majority vote, then we will want to contain the damage as much as possible. But I suspect we will often find that the local decisions that are both sufficiently collective and divisive to require something worth calling “democratic practices,” but also sufficiently serious to push us to confrontations within local groups may find solutions through consultation with other, similar groups. Alternately, if the urgency is not simply local—if, for example, ecological concerns are a factor—they may find themselves “solved,” not by local desires at all, but by consideration of the effects elsewhere. Taking these various observations together, it should be clear that I do indeed believe that sometimes we will be required to fall back on familiar sorts of democratic practices, but I hope it is also clear why, in very practical terms, I believe that this will constitute a failure within an anarchist society. I would be remiss if I did not very briefly return to Proudhon’s Theory of Property and the proposal there, according to which “the opposition of two absolutes,” each objectionable on principle, becomes “the very cornerstone of social economy and public right.” In the previous section I have obviously been attempting to sketch out a federated society in which the balances struck would be between less objectionable and absolute elements, suggesting a fairly well developed sort of anarchy, in the context of which, a complex sort of consensus is the ideal. But, as I’ve suggested, this is a demanding standard and other sorts of balances might be struck. The clues in Proudhon’s late work suggest that perhaps his recuperation of universal suffrage would have functioned in a similar way to his recuperation of domain, and perhaps that it is not simply the anarchistic “citizen-state” that would have functioned as a counterweight to property. My reservations about Proudhon’s late theory of property arise from the fact that domain is potentially a very formidable power within society, but it is at least presented in those works as a largely defensive element. My reservations about democratic practices is that they are much more likely to be invasive and that, in the presence of that potentially invasive power, various defensive counterweights would likely have to be strengthened, if a real balance was to be struck.